Last week I had occasion to visit the neighborhood where I grew up in Santa Venetia, also derogatorily known as Scabo. I’m not sure what that stands for but since it’s an ugly word, I’m guessing it wasn’t known as the most desirable place to live. But I beg to differ. Kids don’t know they don’t live in a mansion. I certainly didn’t. We had 4 bedrooms that weren’t much bigger than some large walk-in closets and closets not much wider than a refrigerator. Now don’t get me wrong; I didn’t care one bit. I had what I needed and that was enough. To me, our Doughboy Pool was the bomb (better known as groovy back then). Other neighborhood dads helped my dad install it. That’s how it was; neighbors helping neighbors. On summer afternoons, being in that pool or playing ping pong on the patio were my favorite places to be. 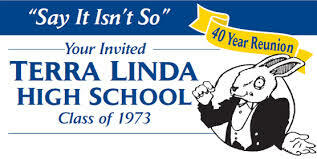 I went to my 40th high school reunion Friday night. Hard to believe that much time has passed. Even harder to believe I decided to go. You see, it’s a fact I have no memory and haven’t seen most of these folks since I was a pimply-faced 17-year-old. Odds are I wouldn’t recognize a soul. Since I’m still in a vacation coma, having returned early this morning, here’s an encore post from 2013. Seems apropos since it’s about Sharon, whom I just vacationed with. Hope you enjoy it! The game of softball will always be special to me because that’s where I first came to know Sharon. Even though we grew up on the same street, it took years for us to connect. Last week some friends and I attended my godson’s baseball game (an independent professional team) at Albert Park in San Rafael. Being there was a trip down memory lane. 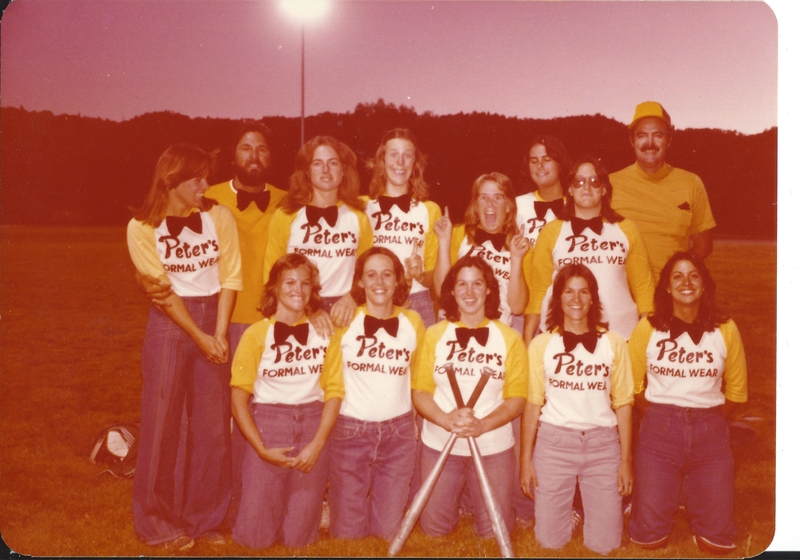 Thirty-one years ago these same friends and I stepped off the adjoining field for the last time after playing fast-pitch softball for 10 years. When we formed the team I was the old lady of the group at age 20. Little did we know then what fun times awaited. Sitting there watching Martin play brought back many fond memories. Insert music here: Memories, light the corners of my mind, misty water-colored memories of the way we were. Okay, enough of that. Suffice to say those 10 years together stretched into 40. And we’re still going strong.